An exhibition by Sue Bernon is currently running at the Blue Caterpillar Gallery in Pietermaritzburg. There are 14 works in all on this exhibition featuring works in oils and sculptural work in clay. Nine works depict cattle with different backgrounds and weather conditions. 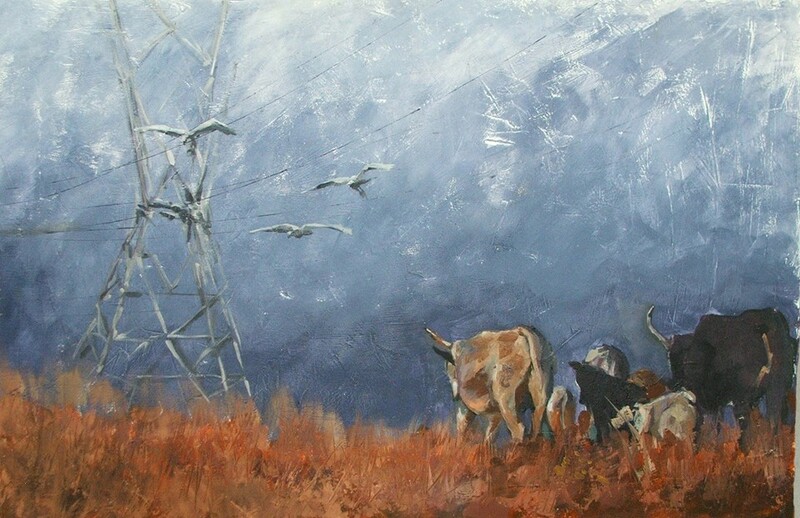 Bernon is a local talented artist exhibiting her work - her series of cows in different settings are dramatic and she has created her own unique style to capture local rural settings. Her florals, mostly the beautiful Protea also form part of her exhibition. “I aim at depicting the drawn and colour form into an unusual tapestry style, without losing sensitivity and character. I strive to draw the viewer into my paintings by leaving little bits of unfinished places. My love for drawing, and passion for colour, inspire me to continually create nostalgic paintings,” she adds.